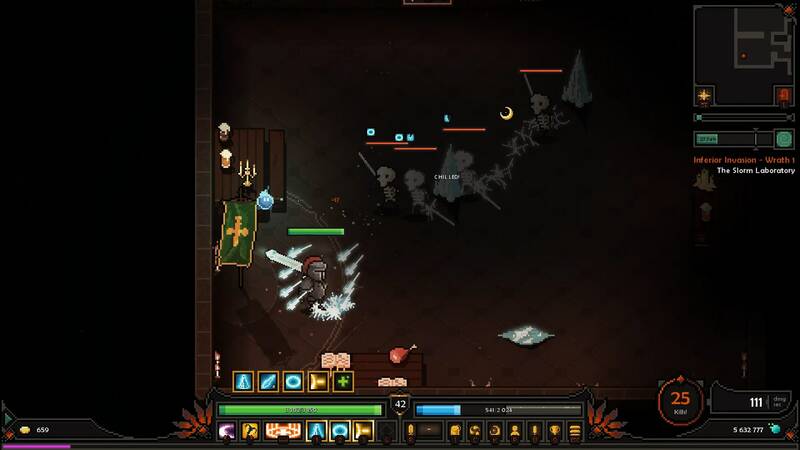 ‘The Slormancer’ Will be Fast, Furious and Overflowing With Loot and Monsters to… Grind? Buckle up, dungeon-crawlers, because The Slormancer is back in town and, well, you know how this goes by now: “You’re the only one who can stop him!”, or… something along those lines. Right. I suspect this is not so much about telling a grand story as giving you motivation to kick you-know-what, take names (along with an abundance of loot! ), and gear up – to kick even more you-know-what and take even more names. The grind is real. But is it fun? Because nothing is worse than a grind-centric experience that’s lacking in the ‘fun’ department, and at least The Slormancer (the game in this case, not the… uh, villain?) brings plenty of variety as you go about bashing skeletons, igniting demons and whathaveyou. That said, upon reading how the game would feature “120 unique and game-changing weapons available” I did raise an eyebrow ever so slightly, and even more so when I noticed “more than 200 unique Abilities, Upgrades and Passives for every class”. Yeah. Oh, and there are three classes, so 360 unique weapons and more than 600 unique abilities. Right? Right. Still with me? Great! The Slormancer is an epic 2D Action-RPG Dungeon Crawling game following a band of outcasts on their fight against hordes of enemies lead by The Slormancer, an evil warlock making a comeback from the past to conquer the world! Whether you choose to play as the knight, huntress or mage – well, doesn’t matter much in terms of what you’ll be doing, so much as the ‘how’: fire, ice, lightning, elemental mayhem! Blood will be spilled, in due time, perhaps even that of your enemies? You’re not even limited to playing as one class without starting over, free to switch as you go along, flinging arrows one moment and setting the dead ablaze the next. Did I mention how the layouts are procedurally (fancy word for random) generated, or how the upgrade system is without end? The grind is real. The grind is very real, in The Slormancer. The Slormancer will be on Steam, GOG.com and Discord in early 2020, followed by consoles (Switch, first and foremost).